What styles can I choose from? 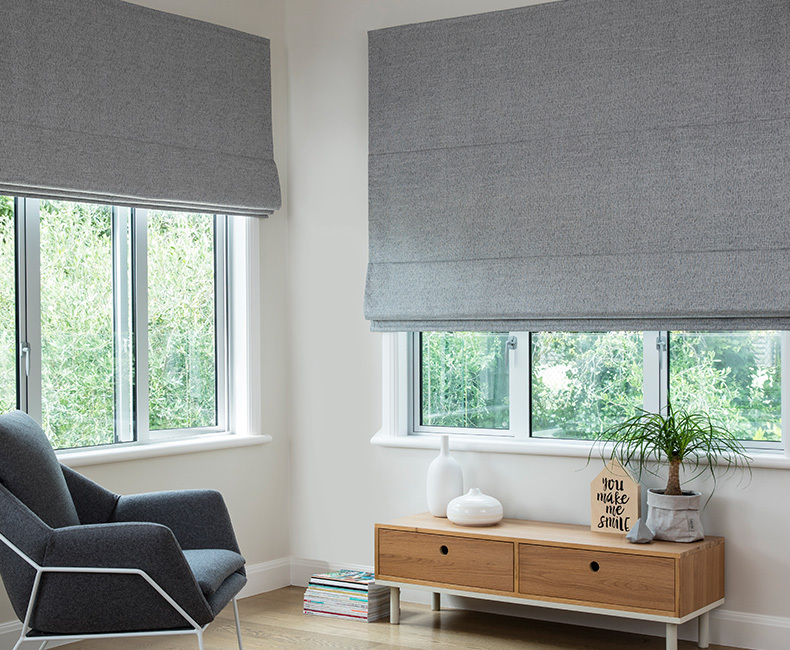 When space is at a premium, roman blinds are an ideal solution to add style and interest to any room. 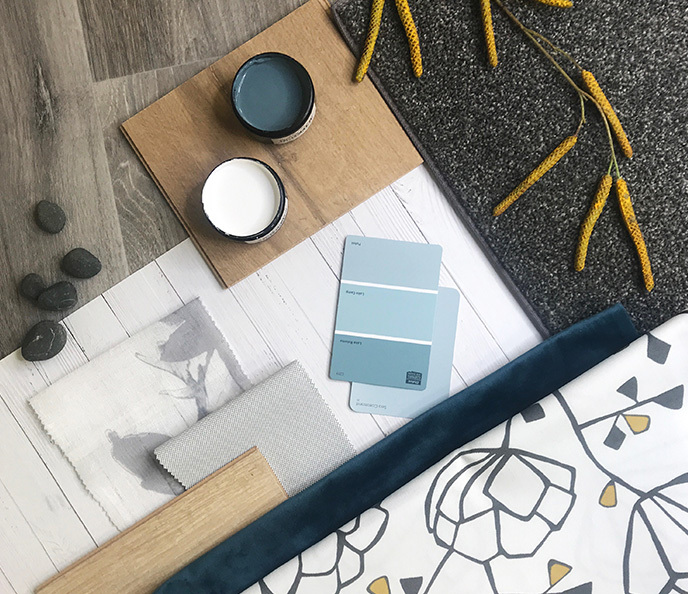 Coordinate your readymade roman blinds with matching curtain options. 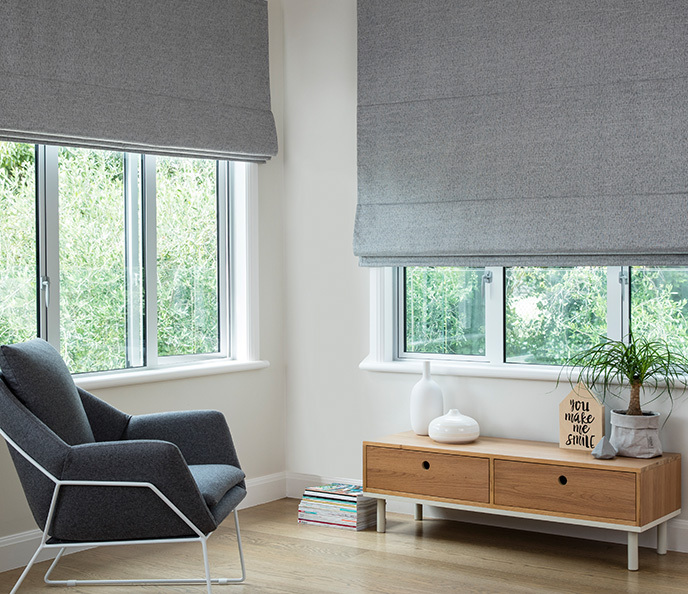 For a contemporary streamlined look, choose roller blinds - an affordable option to create your perfect space. 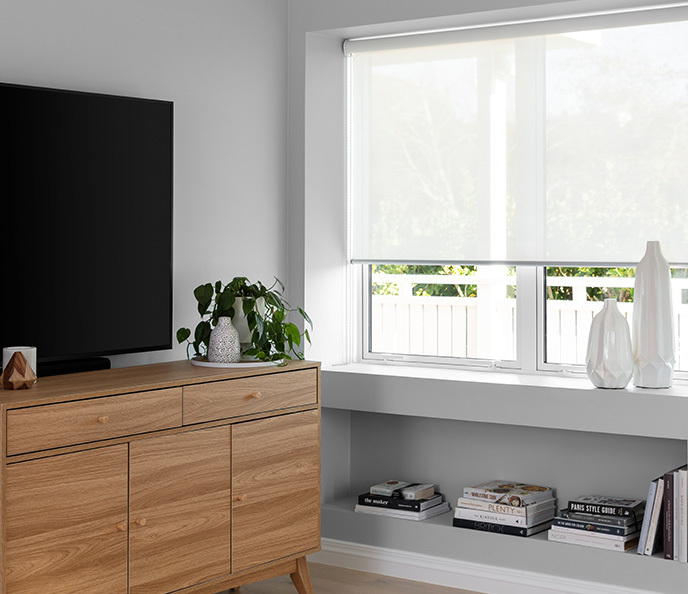 Roller Blinds are easy to operate and allow you to position your blind at any height on your window. 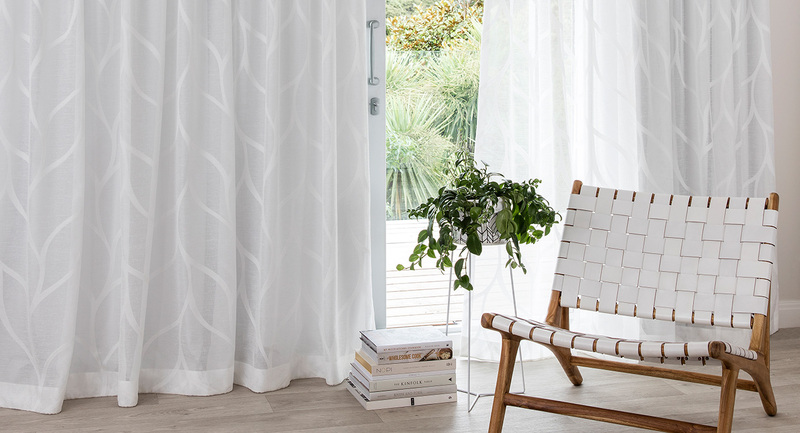 Sunscreen Roller Blinds provide excellent privacy during the day and are a modern alternative to Sheer Curtains. 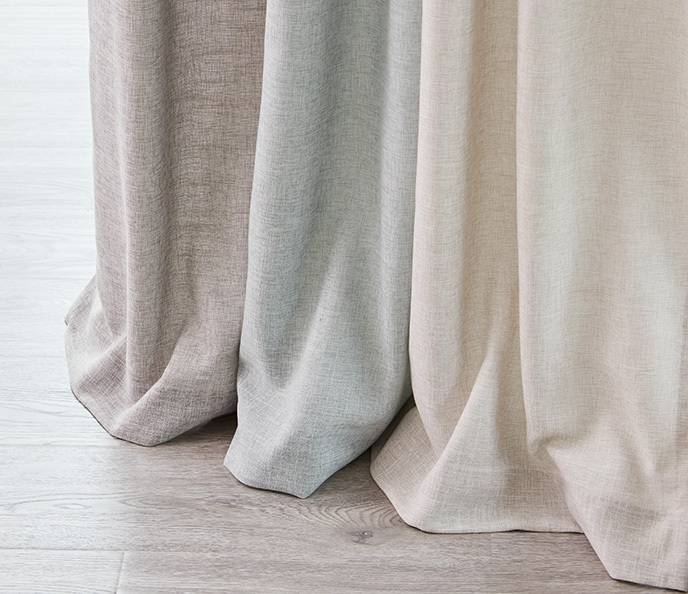 They offer light filtering properties reducing UV rays to help protect your floors, walls and furnishings. 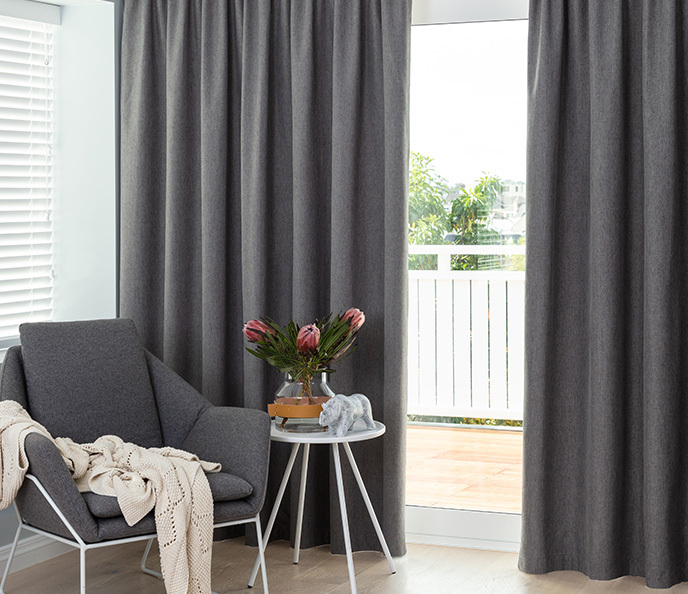 Blockout Roller Blinds have additional light blocking benefits and are perfect when darkness is required or for privacy at night. 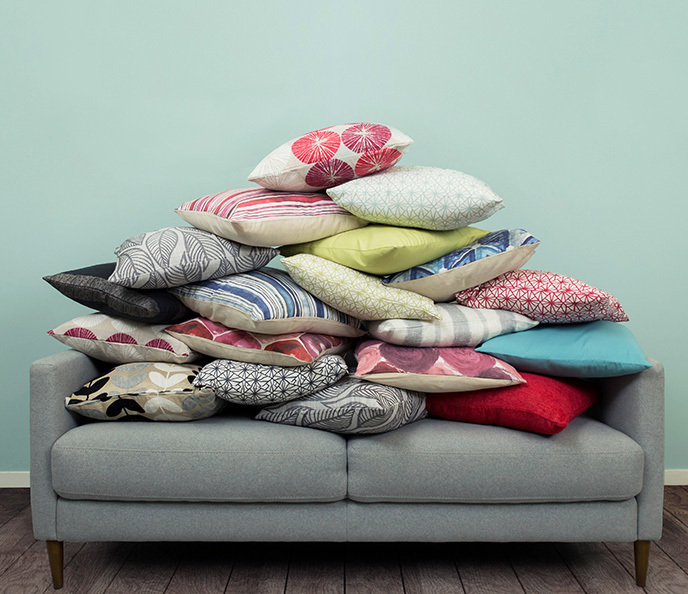 They are easy to care for and are especially ideal for wet areas such as the bathroom, laundry and kitchen. choice of left or right side chain with a chain-holder included in the pack. 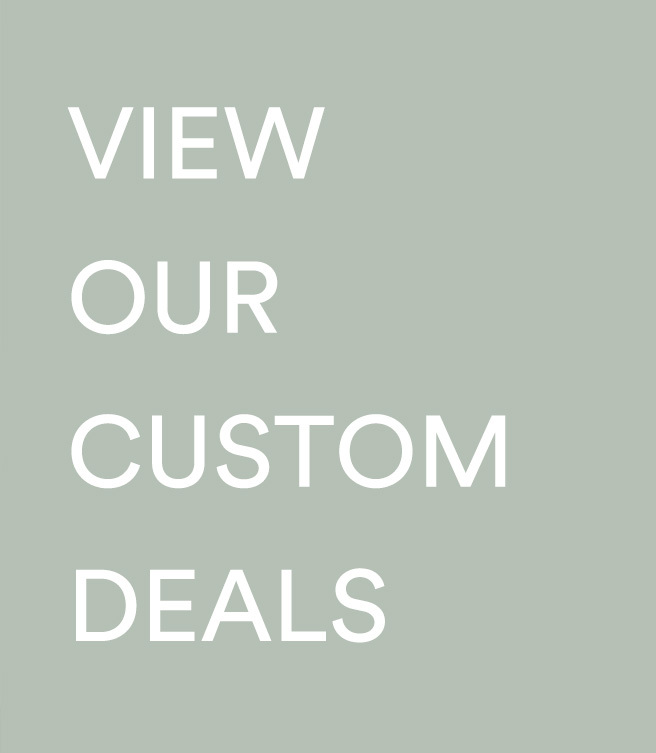 All Roller Blinds come with a 3 year guarantee. 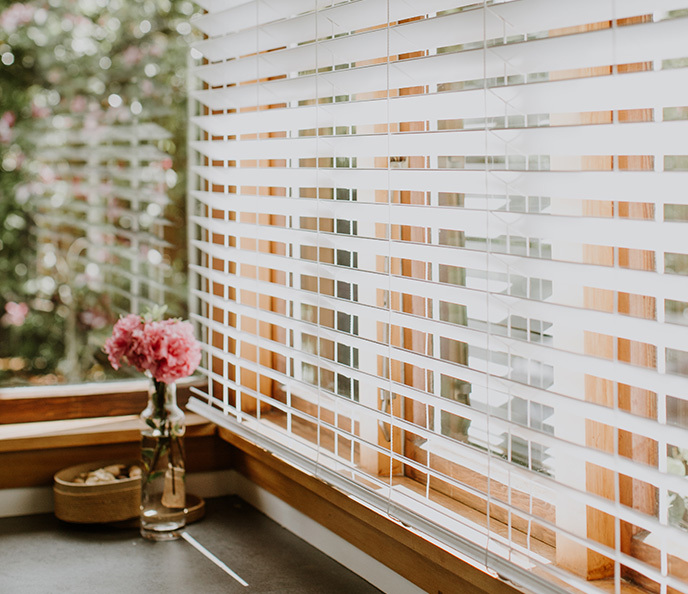 Venetian Blinds are ideal for a classic, timeless look. 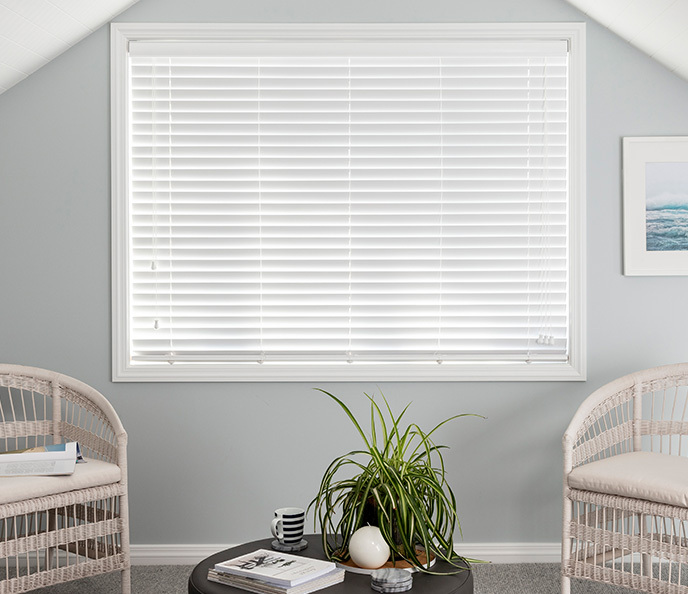 For easy light adjustment simply tilt the slats, or close for complete privacy. 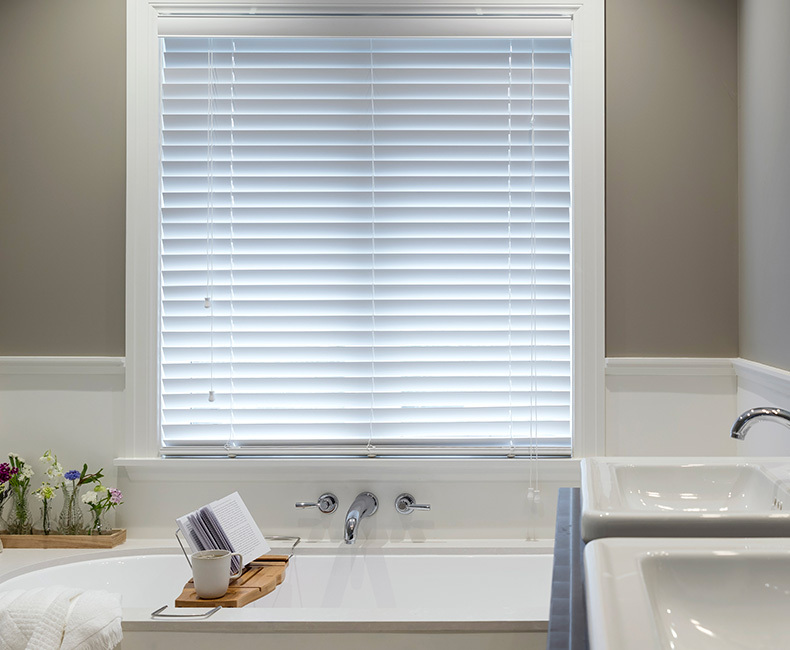 Ecowood Venetians are durable and easy to clean, ideal for moisture prone rooms such as bathrooms and kitchens. Basswood Venetians have wider slats for a “plantation” look in your living and bedroom areas. 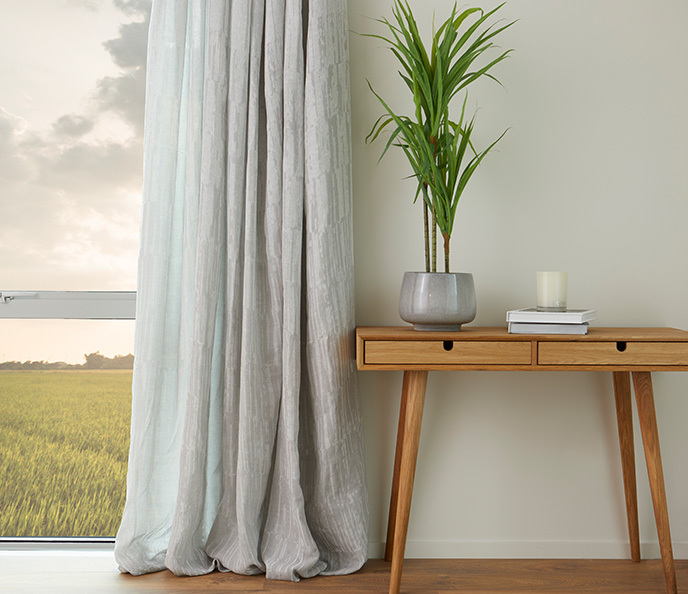 Coordinate with Readymade Curtains to soften the look, or make a statement as a standalone window treatment. 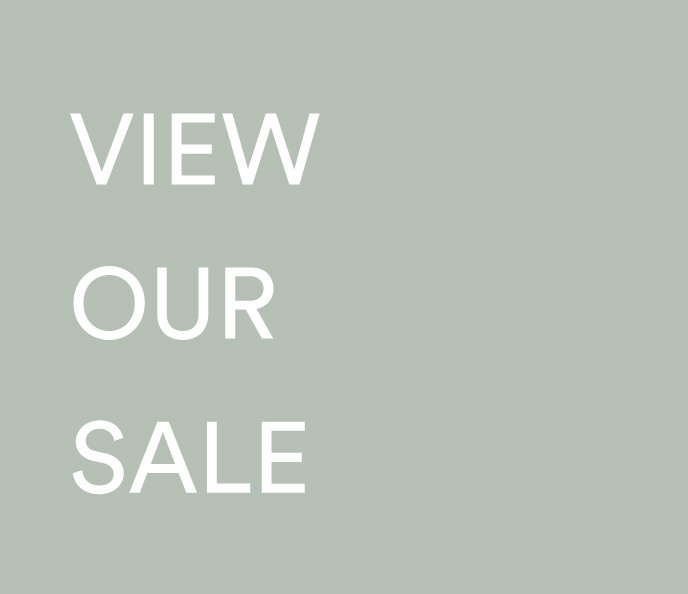 Aluminium Venetians have narrower slats which look sleek and modern and suit apartments and contemporary homes. 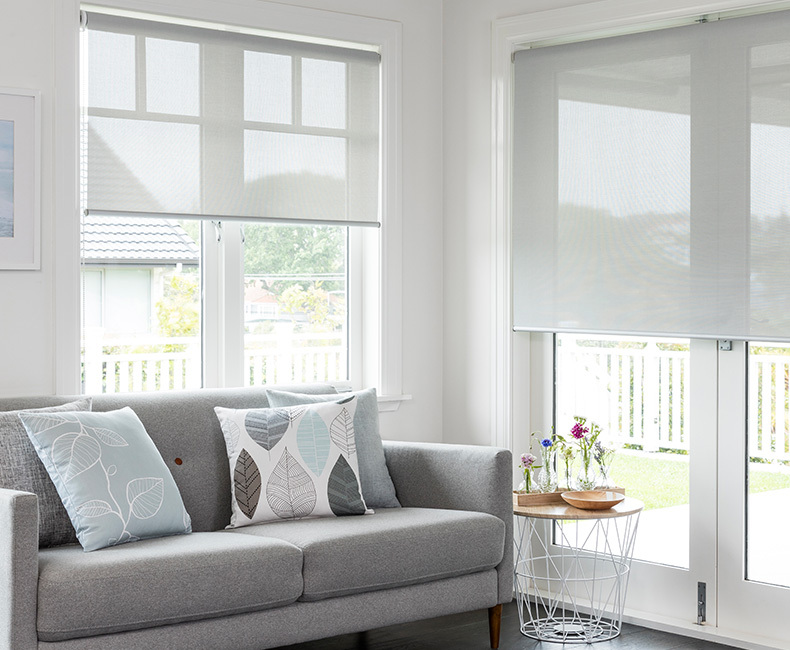 Follow our easy how to measure for blinds guide here. 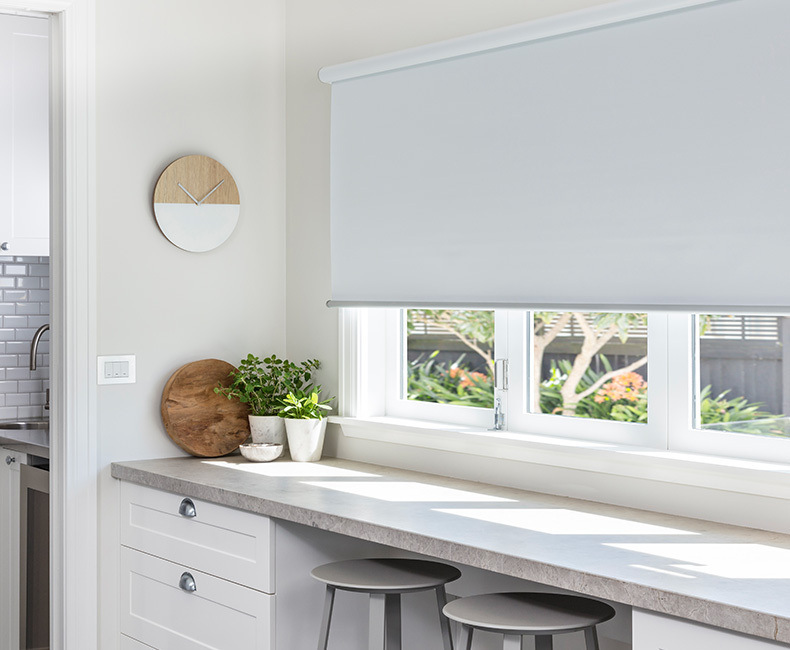 Once you know your width and drop simply filter this option to browse our range of Readymade Blinds to suit your needs.